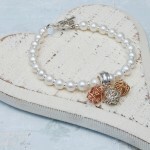 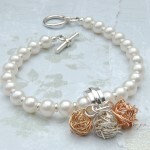 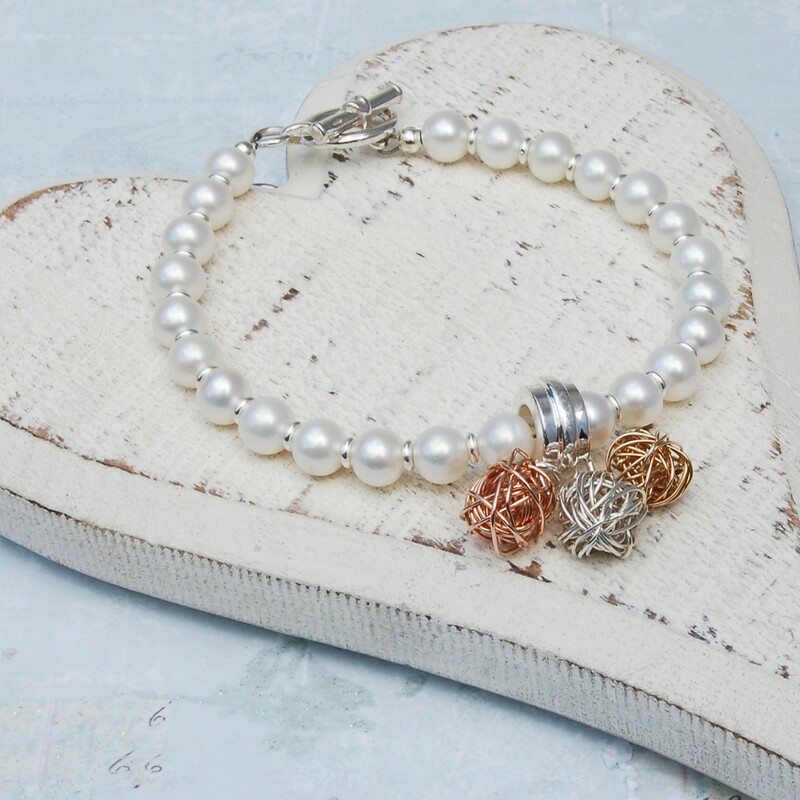 This lovely bracelet is a new addition to our best selling “Bird’s Nest” collection and designed for any ocassion. 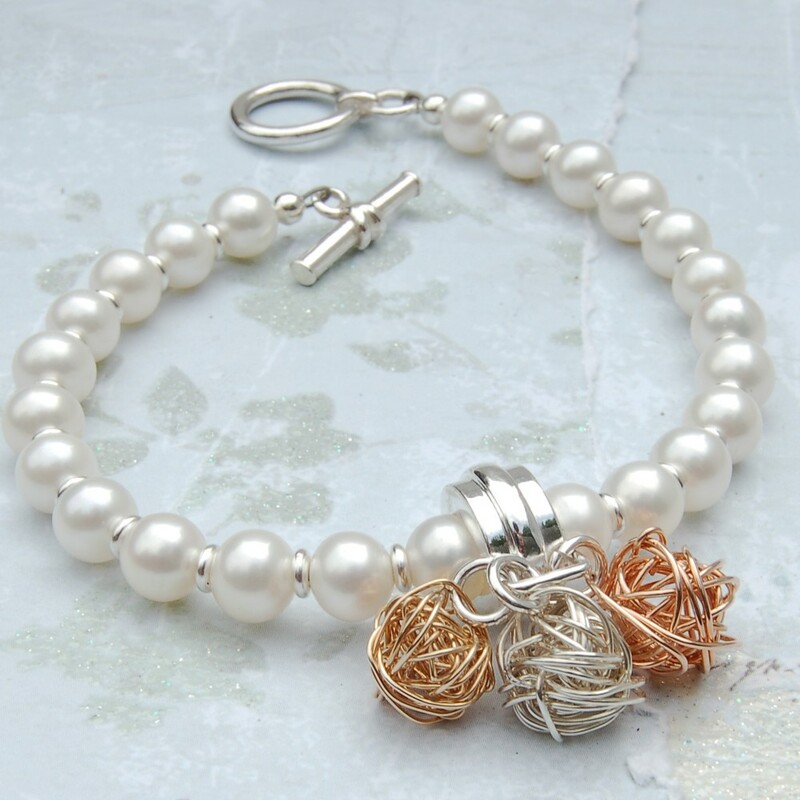 If your looking for a unique piece of jewellery then this is for you, Made with only the best quality components it just oozes elegance, From the lovely graded creamy pearls to the hand woven Bird’s nest balls to give you that indiviJewel look. 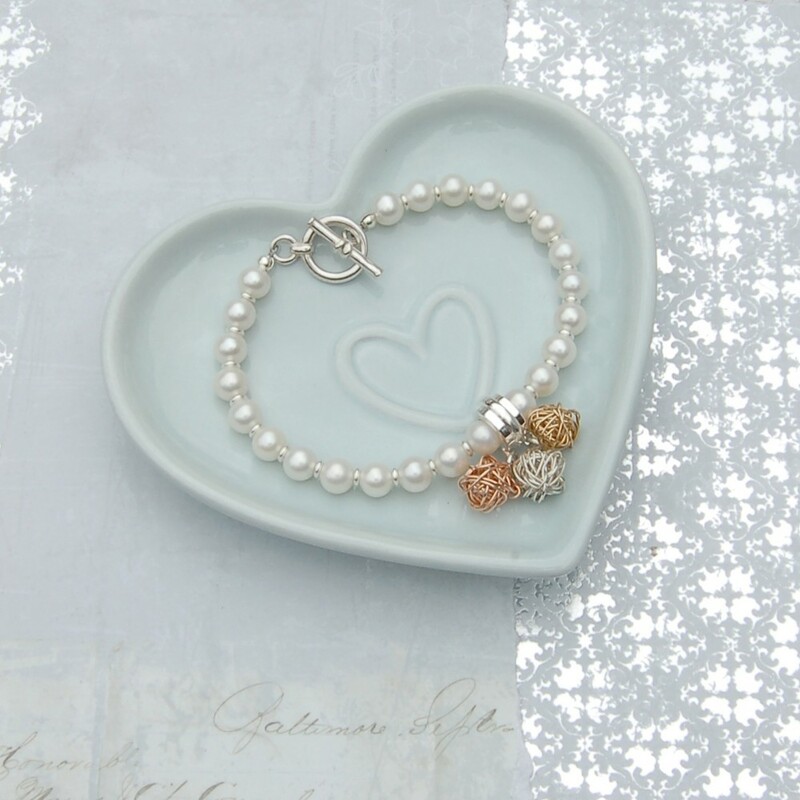 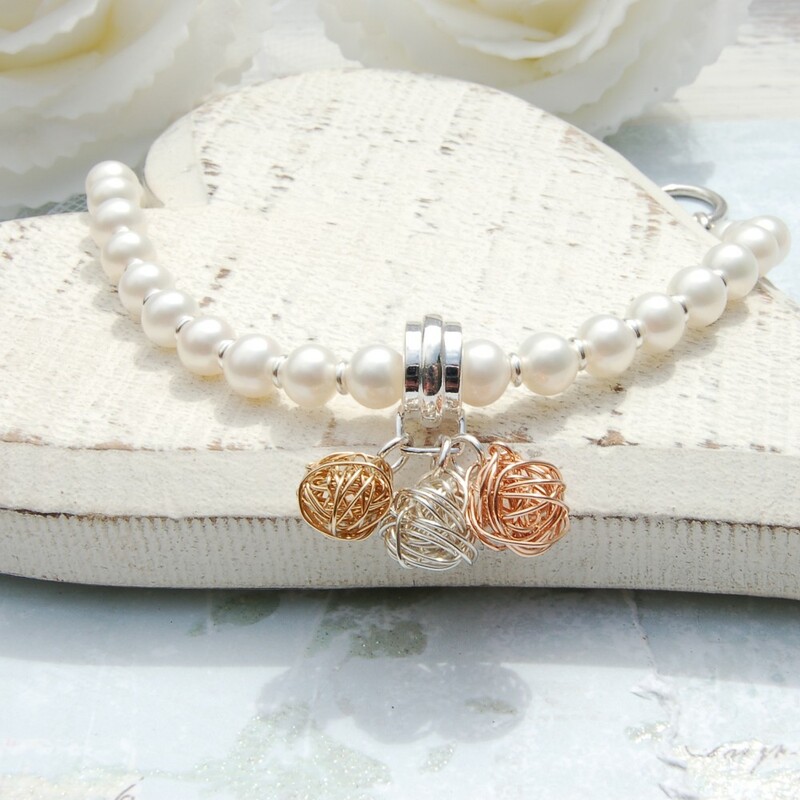 Materials used on this bracelet are sterling silver, Rose Gold, Gold fill and graded freshwater pearls. 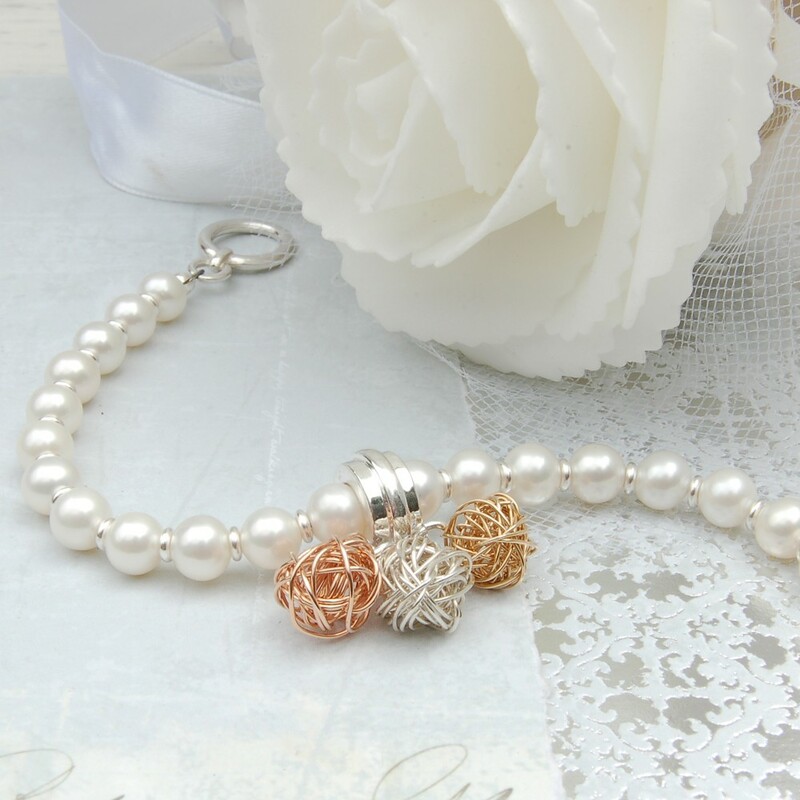 The pearls measure 7mm approx and the Bird’s nest balls measure approx 10mm in diameter.